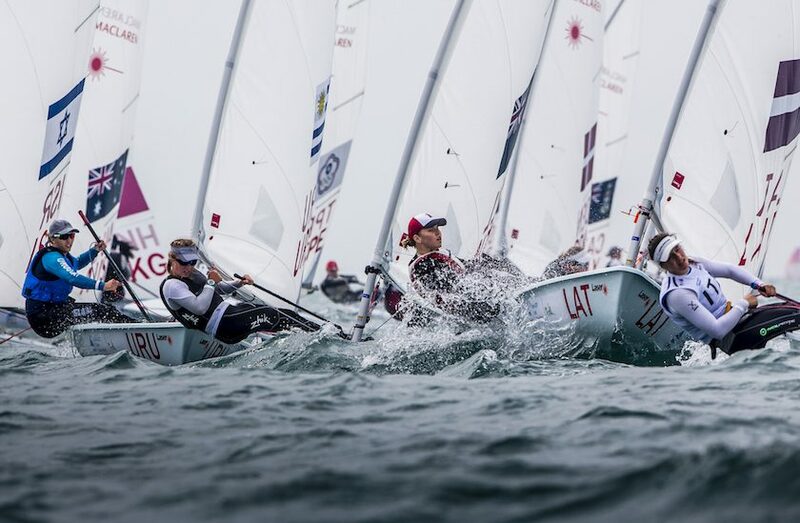 This morning UTC, the Youth Sailing World Championship 2017 began on the Chinese Holiday Island Sanya with 367 participants from 60 nations ! Here already the first results. In the Laser Radial Boys, Giacomo Giovanelli ITA has taken the lead ahead of Caelin Winchcombe AUS and Junroi Lu SGP. In the Radial Girls, Charlotte Rose USA won both races of the day. Dolores Moreira URU and Annabelle Renie NZL are the first persuers.